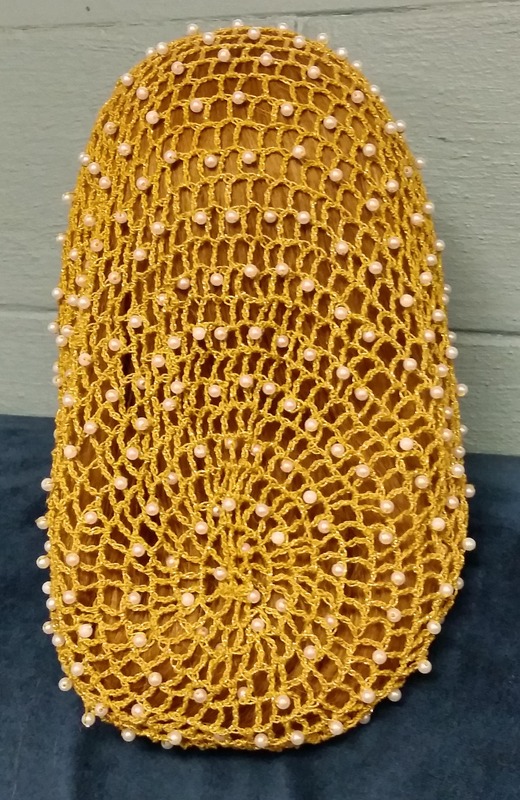 The thread used to construct these beautiful snoods consists of cotton thread with a metallic or pearl strand twisted in with the cotton before the thread is spooled. In the color choices for these snoods, the first part is the color of the cotton thread, and the second part is the color of the metallic fiber (e.g Black/Silver is black cotton thread with silver twisted in). These snoods really light up in the sun! Those pictured are Gold/Gold/5MM Pearl Beads, Black Silver/Crystal Beads and Brown/Gold/Cream Beads. More pictures as I can get them made. Just for information the mannequin head has about 25 inches of hair. This is for my standard pattern snood with beads of your choice on every other row in the 12" Xlong length. If you'd like a different length please see my Etsy shop for the shorter options. The pictures just do not do these snoods justice. 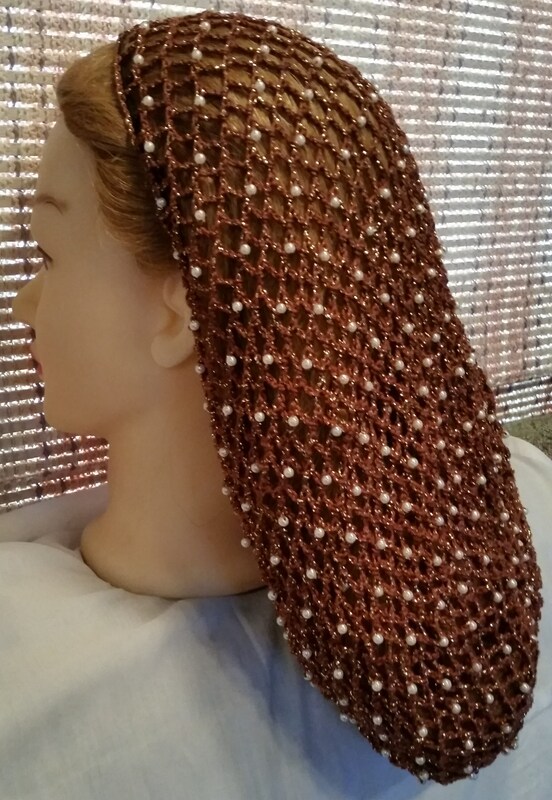 The metallic or pearl strand that wraps around the cotton adds a lovely sparkle to this snood that is quite elegant making this thread my most popular. I can make them in the color choices listed in the drop down box. Be sure to select your bead color as well as the snood color. These are made to order unless I happen to have something in stock. Please allow a couple of weeks before shipping if your color choice needs to be made. Email me for available colors all ready made if you need it right away. I've done a lot of the Pearl in the white and ecru for weddings as well which look quite lovely with that extra shine to the snood. They are full size snoods and are fully adjustable because they are fitted with elastic cord in the final row which is tied to fit most anyone from children to adults, short to long hair. Ladies with extra thick or really long hair might want to go with an extra long snood instead of this standard length one. Email me for more info on the extra long version. The snood does come complete with instructions on how to put it on and the care of your snood. When properly adjusted this snood can in most cases be worn without the need for hair pins. 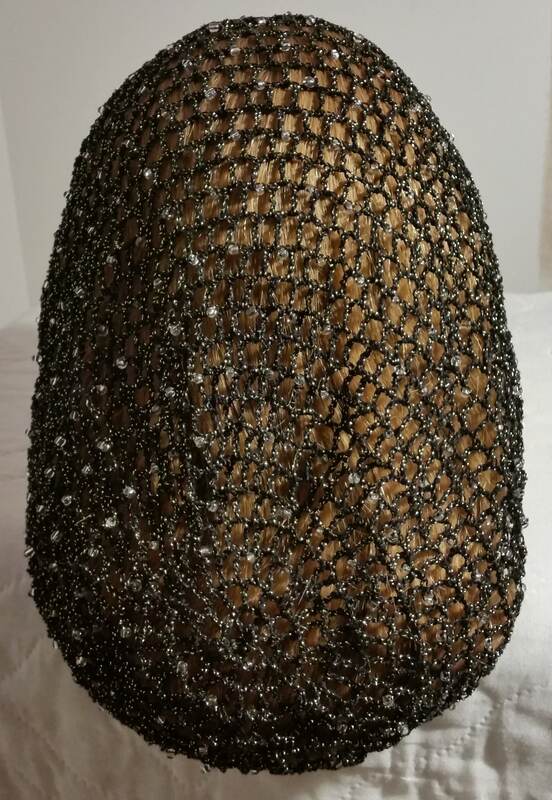 This is a great addition to your Civil War, Medieval, Renaissance or SCA garb but can also be worn just because it looks great. Because they are adjustable they can also be worn back farther on the head in a more 40's style as well. You will need to add a couple of hair pins if you opt to wear it back farther on the head. Snoods have made a come back and are wonderful for bad hair days. You just put your hair in the snood and go. No muss, no fuss. I do accept requests for custom orders of snoods and bun covers. Send me a message and I can create a listing for any special order. I don't do special orders for clothing and hats sold through my website since I don't make them myself. No, I do not sell my patterns. They are copyrighted and this is how I make my living so they are not for sale. 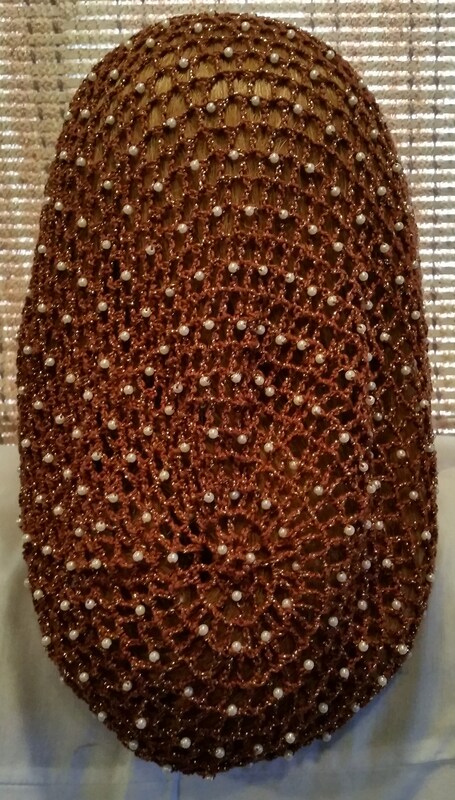 Are you the Lady who made the snoods seen on the TV show Charmed? Yes, I made the snoods worn by Alyssa Milano on Charmed. 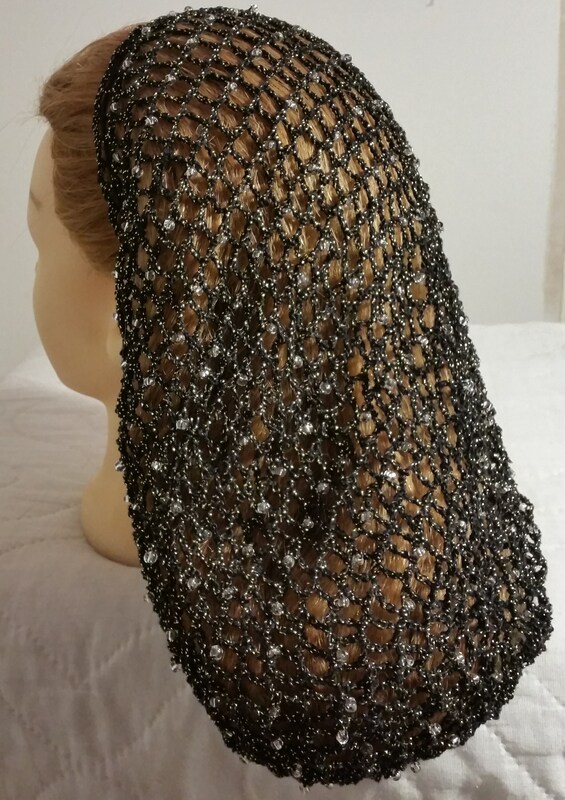 The listing in my shop for a Net Beaded Snood Standard length is the same style that I made for the show. A replica of the Burgundy Snood she wore is the first one you'll see on that listing. Did you make the snoods I saw at the Disney Theme Park in Florida? Yes, I have made several different snoods over the years for DMGM Creative Costuming with Disney, Florida. They are worn by Cinderella's dancers in the daily parade as well as several others have appeared in different productions for Disney as well as for shows on the Disney cruise ships. How do I determine what size of snood will work best for me? The length of a snood depends on the thickness and length of ones own hair. If you have fine or average thickness of hair the standard length will work fine. My hair is average and just past the middle of my back and I wear the 8" length. I like having it up off of my back and level with my shoulders. If you'd like it to hang longer or you have longer and/or thicker hair you should go with a longer snood. I would also caution on the Net pattern that if one has very fine or layered hair you might want to choose another pattern. Since the openings are larger on this snood that type of hair may poke through the openings and look messy. 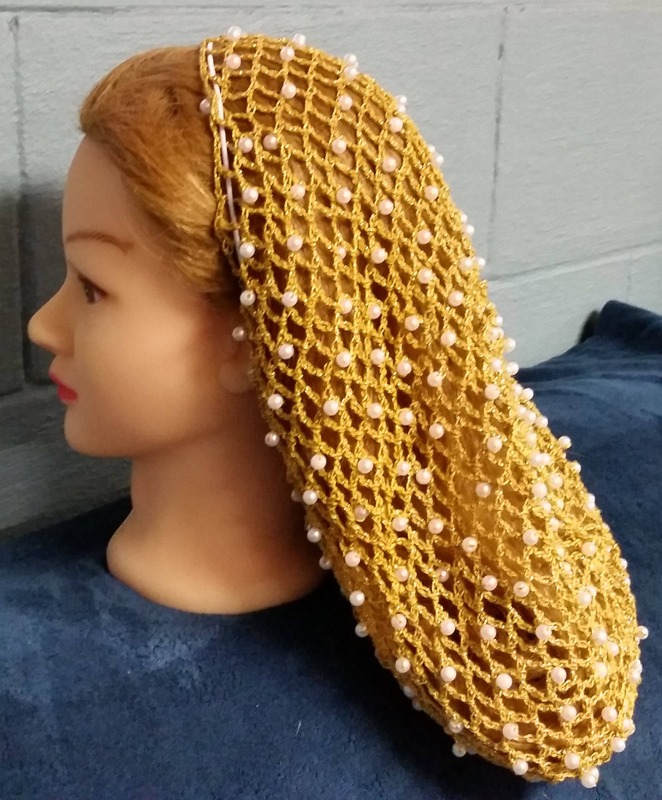 A snood with smaller openings works better for ladies with fine hair.